A contractor recruitment body is not alone in feeling that there is more than just a touch of ‘fait accompli’ to the private sector IR35 reform consultation. In line with APSCo, contractor tax firm Orange Genie fears that the Treasury has already decided that last year’s IR35 reforms in the public sector will go ahead in the private sector. 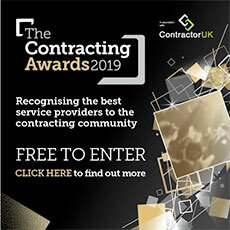 He says a “victory” for the contractor sector would be HMT’s response to the consultation, which closes this Friday morning, offering to delay the extension of the reforms until 2020. “How [can] government [now target the private sector] when it won’t even know the full tax implications of the changes made last year until tax returns are filed in early 2019?” he asked. DNS Associates, another contractor accountant agrees. “They should test the public sector results for a few more years yet and not rush a private sector implementation. It’s also looks greedy to the firm’s boss Sumit Agarwal. “The government is clearly looking at net numbers and their additional collection of £410million is kind of a victory for them. But the envisioned rollout of 2017’s IR35 changes, under which the client takes the PSC’s right to decide their IR35 status, “could be a fatal blow to the self-employed economy”.